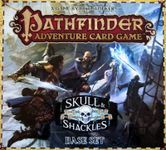 Per a suggestion in the PNW Thrifters Guild, I've created this geeklist to serve as a no-ship trade and sale marketplace for those of us in the nearby Seattle area. The inspiration comes from the Portland Virtual Flea Market (and I've taken and modified the header from there - so go there and leave a gg tip if you can!). Of course, folks who aren't local to Seattle and the outlying area should feel free to make offers. You might even convince folks here in town to bundle stuff with other sellers to save on shipping. 1) Anyone relatively close to the Seattle, WA region should feel free to add to the list. 2) Please list one game per GL item, as that should help ding people's subscriptions. It's also okay to list a local geeklist auction. 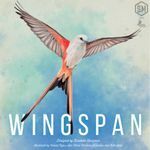 3) Please include all pertinent info including price, condition, edition, location if it isn't on your flag (city and state), and (if available) a link to the BGG Marketplace listing. Feel free to add any other notes, trade desires, photos. 4) Please delete the item in this list when the item is sold/traded. 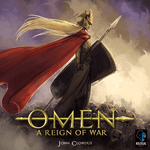 5) If you strike a deal, please use the marketplace so BGG gets their rightful share! 6) Please list board and card games only, as a general rule. 7) Group listings are permitted, but please make sure to not edit more than once a week. It's also suggested you have a note to show what edits you have made recently. 8) Listings that are greater than 6 months old (or, in the case of group listings, have not been edited/updated in that time) will be removed. You are allowed to re-add these items; this will help keep the list fresh. That's it, for now! If you have any suggestions or comments, GM me or stop by the PNW Thrifters Guild. P.S. Unless anyone sees anything different, let's just keep this as a permanent list? Please make sure to delete any dead items. (Making that more bold since apparently people see "Pig Pile" and aren't interested. Ok, no, not really Pig Pile. But a big (rhymes with pig, get it???) pile of games. I have about 200 games for sale (and I'm not about to add 200 entries to this list). It's a dynamic list that I will keep updated basically forever. As games are sold, they will disappear from the list. As I continue to buy new games, they will be added to the list. I list almost all my games, with only a few exceptions. I basically buy games too many games, and I've realized that about one or two plays of new games consumes all of my limited gaming time, so it's just not worth keeping/storing games if someone else wants them. All games to be picked up at my home in south Kirkland (2 minutes north of 520; PM me for exact address). Condition of all games is excellent unless otherwise noted. 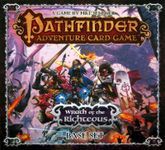 - 85$ Pathfinder Adventure Card Game: Wrath of the Righteous – Base Set with all adventure decks and all promos. Many of the decks are still in shrink. Send me a PM if interested in any games from the list below to prevent subscription hits. Bothell is the most convenient area to meet for me but I am flexible. $2 discount for every game purchased after the first. List updated 1/26. Bold items are new. As always, all offers considered. 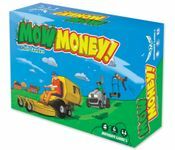 I'm just guestimating based on 'ebay sold' and BGG. Didn't add anything this time. Just crossed off. I don't know why we cross stuff out instead of just deleting them but seems every does it so I will too Will add some stuff this week. Most games will be in very good to like new condition unless otherwise noted. Local pick-up in or near Puyallup. All games are in Greenwood (near Greenwood Park). There are about 300 items in my Trade List. If something interests you and it's not on this list, send me a message. * A 'New' game is still in shrink. 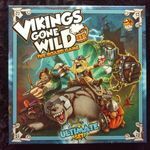 * A 'Like New' game is unpunched, unplayed and/or the components are still in shrink. * A game in 'Excellent Condition' usually means there's no visible wear to game components. I don't normally mention minor shelf wear or dinged corners from shipping so if that's important to you, feel free to ask about it. $3 - Rummy 21 - deck of cards in the form of thin plastic tiles. $10 - Solitaire for Two (new) - six suited deck of cards in the form of bakelite tiles. * Deluxe City of Kings with almost all extras. Last Night on Earth, The Zombie Game, Like New...... $30 SOLD! 4/17: Removed claimed games. Additions in Bold. All games in excellent condition unless specified. Pick up on the east side (Redmond, Sammamish, Issaquah, Kirkland, Bellevue areas). Thanks.
) Attack! + Attack! Expansion $5 (or) free with $75+ purchase. Game components in very good condition but game box has damage/whitening.
) Darkest Night: Necromancer Bundle. $50 Ultra Pro Sleeves included (All cards sleeved). Includes the following: Darkest Night (First edition), Darkest Night: On Shifting Winds, Darkest Night: With an Inner Light, Darkest Night: From the Abyss, Darkest Night: In Tales of Old, Darkest Night: From Distant Lands, & Darkest Night: Nymph Promo.
) Epic Card Game. 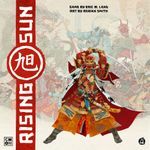 3 copies of the game, each with Kickstarter Exclusives/Bonus. $5 per copy (or) $12 for all 3. 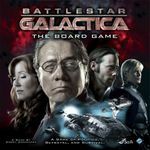 My Want in Trade List is up to date: https://boardgamegeek.com/collection/user/Helljin?want=1⊂... but cash sales are fine also. Please feel free to contact me with any clarifications on the games listed and I may have an error or two until I get this list dialed in a little better. I'm in the Shoreline/Lake Forest Park area. Prices are negotiable if you are interested in multiple games. I would also be interested in trades. 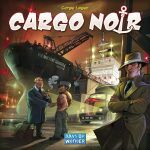 Games that I am particularly interested in some kind of trade for would be Arkham Horror The Card Game or Eldritch Horror and others on my trade list. opened but new condition. components are still sealed. Games like new unless stated otherwise. I am located around the Shoreline/Lynnwood/Bothell area. East side on weekends, Wednesdays, or evenings. Downtown near SLU on the other weekdays. All games are opened, played, box wear unless otherwise specified. <UPDATING> Clearing out the closet a bit. In the Bothell area and would prefer pickup near there. Selling everything together for $150. 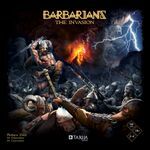 3% of the sale proceeds will go to BGG. No trades at this time. Games from smoke-free, cat-free home. All games are in great condition unless specified otherwise. Local pickup from Seattle/Bellevue (98006). Opened, punched, sorted but unplayed. Opened, punched, sorted but play-tested once, 1 sheet used. 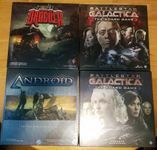 Item for Geeklist "Wargame Traders [USA]. Haves & Wants." $250 - NIS Mythic Battles Pantheon (God Pledge) which includes many Kickstarter exclusive miniatures. 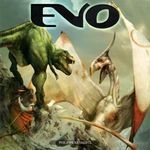 Also included here are the Kickstarter exclusive add-ons for Oedipus vs The Sphinx, Manticore, and Judges of the Underworld. Can meet in downtown during the day or Shoreline/North Seattle at other times. Please PM me if you are interested. Please send me a PM if interested in any games from the list below. South Center Mall or Renton is the most convenient area to meet. Cash Only. For saving time, no OBO! Due to the #7 rule of this Geeklist, I can not update the game availability status timely. So please visit My Geek Market Dashboard below to check if the game still there. Drop price and add Exit games, The Castles of Burgundy. Please read: The game is language independent. If you want the English version rule book and goods income track, you can download through the link below. This price for 4 of them, or $9 for each. Nothing destroyed include the playbook, box and Lining. I am selling/trading sleeves, not particular to Myth. Forgive me, but I had no other way to post this thing. Hello, I am hoping to trade/sell my abundance of large-form premium sleeves. It was recommended I try the Seattle flea market by another BGG user. All packs new/unopened. You are free to count each sleeve, but you would scare the *&! @ out of me in doing so. 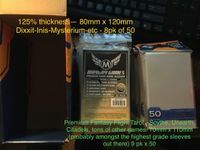 8 pack of Mayday Premium 125% "Large Format" (I call them XL Tarot), 80mmx120mm, 50x (400) - Dixxit - Mysterium. I found these to be perfectly good sleeves and fit Inis really nicely (beautiful, beautiful game). I don't have the same hangups with Mayday that some people seem to maybe because I don't sleeve with their penny sleeves. not including the $9.50 shipping (unless you buy $200 of stuff there, in which case you pay no shipping). I can't find these on Amazon, so they might be so rare that you'll have to buy sleeves to sleeve these sleeves. SERIOUSLY THAT'S HOW RARE THEY ARE. Potomac is a great company btw, even though they're across the continent I always get good service and deals from them. 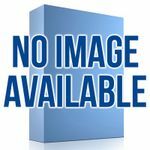 9 packs of Fantasy Flight "Tarot" sleeves, 70mm X 110mm, 50x (450). These are expensive everywhere and average $5-7 a pack. I have used them to sleeve my most prized treasures (Scythe and such). I thought I was going to get really into T.I.M.E. Stories which use these too, but no luck, it didn't make it to table. I would consider an in-kind trade for premium Standard sleeves/63.5x88mm (I have to sleeve Dungeon Degenerates and it's massive), an even-value trade for a game/expansion I don't have, and/or cash: $2 for each of the maydays and $3 for each of the FF packs, which is a nice slice of kiebasa, people. I am currently drinking coffee from 7-11. Wizard needs food badly. I am a refugee from an unethical software conglomerate, and am currently on unemployment. That's my sympathy pitch... Did it work? No? Oh well. I would rather not ship anything. I'd meet at a game night like the one at Red Door on Tuesday or Big Time Brewery on Sunday, or just tonight at 3am at a loading dock behind a Costco in Kent. I don't drive, and I really would rather not go to the Eastside unless I'm being paid to. I live in Seattle-Seattle, the Seattle part, in the Wallingford area. thanks for enduring. All items here are New In Shrink (NIS)! This is my leftovers list for what didn't trade in a recent math trade. I am looking to sell the remaining, and expect to sell these in person on July 8th at the 7th Annual Pacific Northwest Game Swap. Let me know what you want, and I'll hold it aside. Please make an offer! The more you buy, the more generous I will be with discounts! EDIT: Please let me know if you are interested in any of these for the PNW Game Swap on Sunday. I'll be packing up the car tomorrow and not sure it'll all make it in. 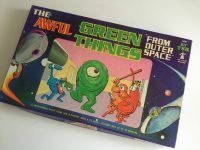 Used - Box worn, unpunched. Used - LN, Deluxe Edition, box has wear and bottom has signs of crushing. Used - Includes the Eye of Horus Beam Splitter expansion. Box has rips from tape, and there is still tape on the box. Box also has crush marks. Contents of box is all good. Used - Good condition, but missing 3 counters (identified on included printouts). Used - Board is split in half, and the blue robot turtle tile is bent. Neither of those affects actual gameplay though.